SPREAD each wrap with VEGEMITE. 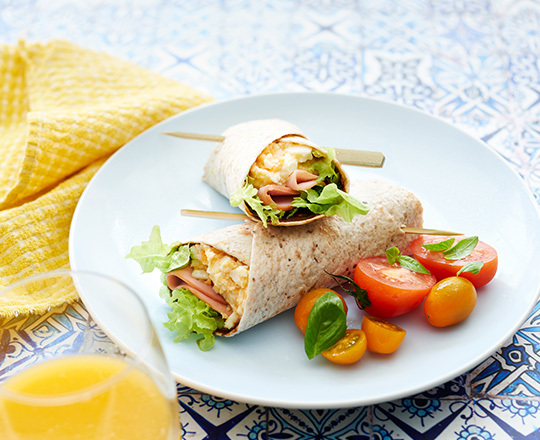 Top with lettuce, ham and combined egg and mayonnaise. Roll up to enclose and secure with a toothpick. Serve immediately.